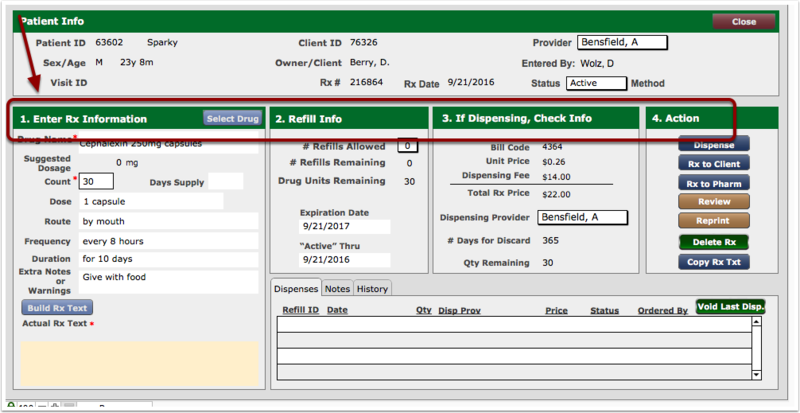 When a Client comes in to pick up a prescription for a Patient that does not have any active visits, the user must go through these steps to correctly generate an invoice to the Client record. 8. "Select a DVM" window will now appear. 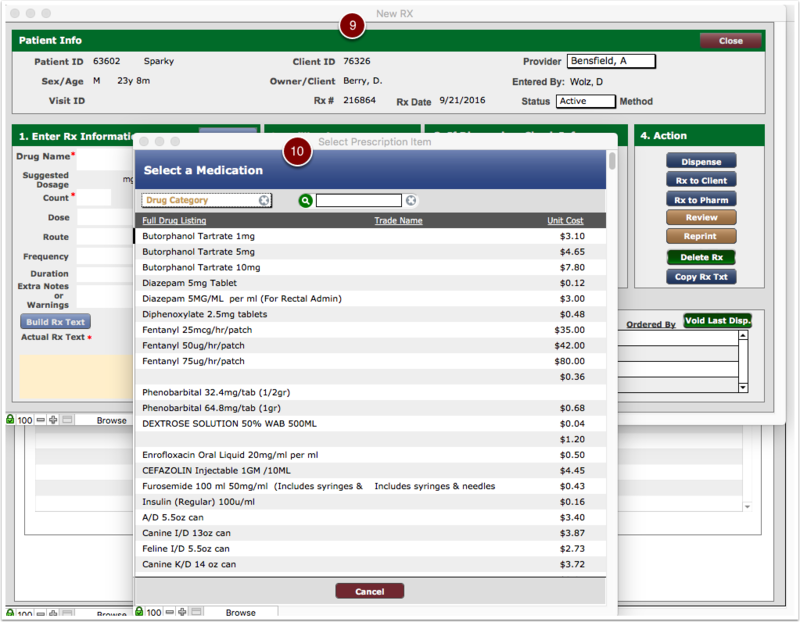 Take the time to choose the correct prescribing DVM. 10. 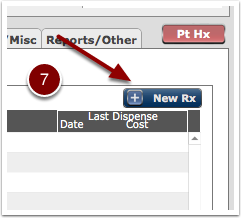 ‘Select Prescription Item’ window will appear. 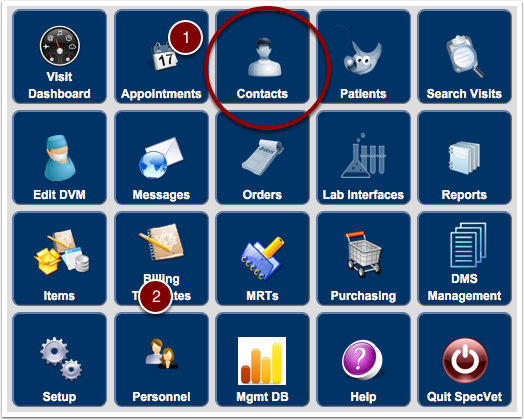 Next: Can I Merge Duplicate Patients?